(CNN) The longest total lunar eclipse of the century concluded Friday night, showcasing a blood moon for most of the Eastern Hemisphere. Coincidentally, Mars was also at its brightest, putting two bright red objects in the sky. It began in Australia and Indonesia, and it moved across the globe. The lunar eclipse ended around 7:30 p.m. ET. The totality of the lunar eclipse lasted about an hour and 43 minutes, but the partial eclipse before and after the total phase meant the moon spent nearly four hours crossing the Earth’s shadow. As the full moon moved into Earth’s shadow, it darkened, but it didn’t disappear. Sunlight passing through Earth’s atmosphere lit the moon in a dramatic fashion, turning it red. This full moon in July was also known as the Full Buck Moon and the Thunder Moon, occurring when a male deer’s antlers are in full growth and at a time of frequent thunderstorms, according to the Old Farmer’s Almanac. 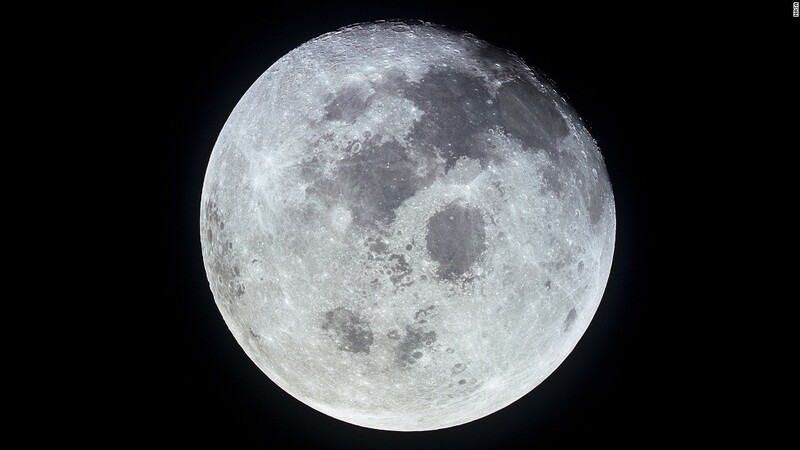 It was also a “mini-moon” because the moon was the farthest from Earth and appears small. The fact that the moon appeared so small and took longer to pass through Earth’s shadow was also why the eclipse lasted longer. 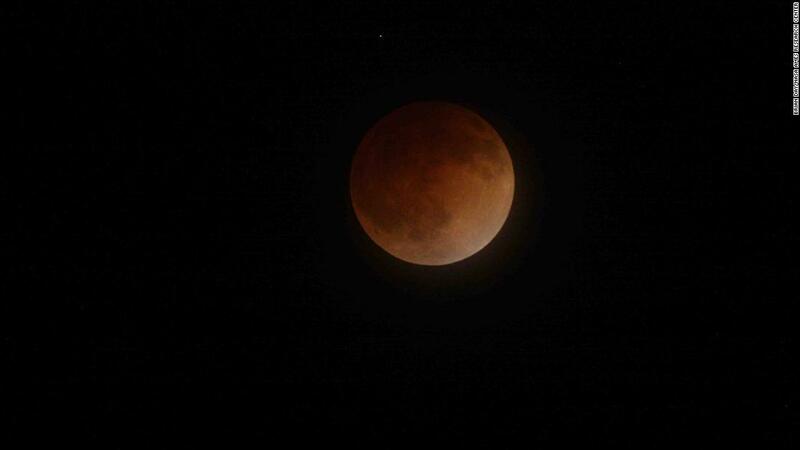 Priscila Sinaga captured the moon’s reddish hue during the blood moon eclipse in Cinere, Indonesia. North America, much of the Pacific Ocean and most of the Arctic didn’t see a thing. 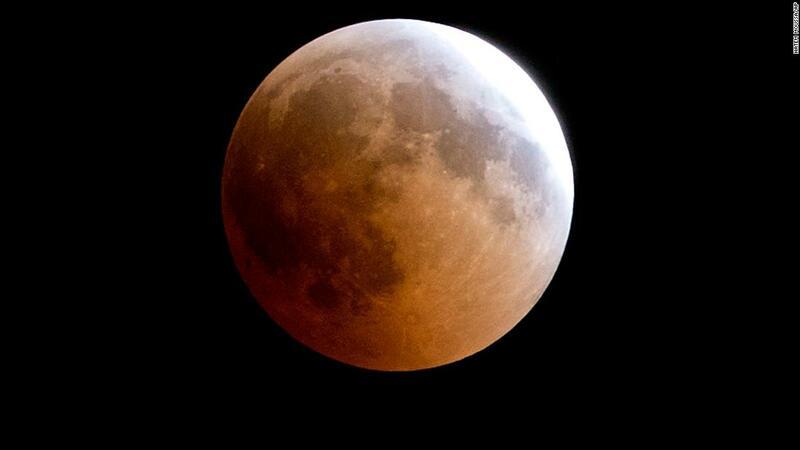 The entire United States won’t be able to see a full lunar eclipse again until January. Our red moon had some company Friday, when Mars was the closest it’s been to Earth in 15 years. Mars was actually at its closest approach since 2003 on Monday and Tuesday, when it was 35.78 million miles away. 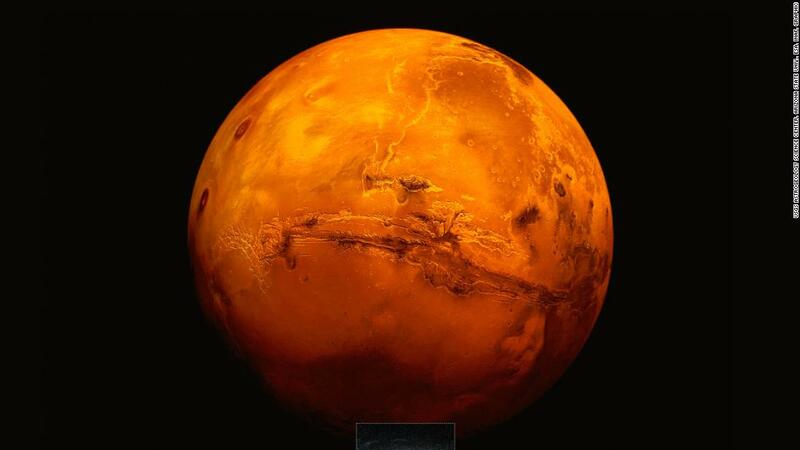 Experts estimate that Mars’ brightness will persist for several weeks.